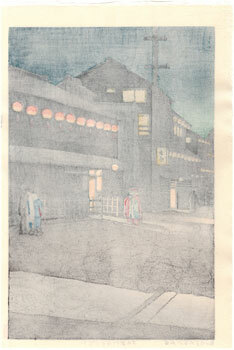 The woodblock print presented here is a 1989 ca. 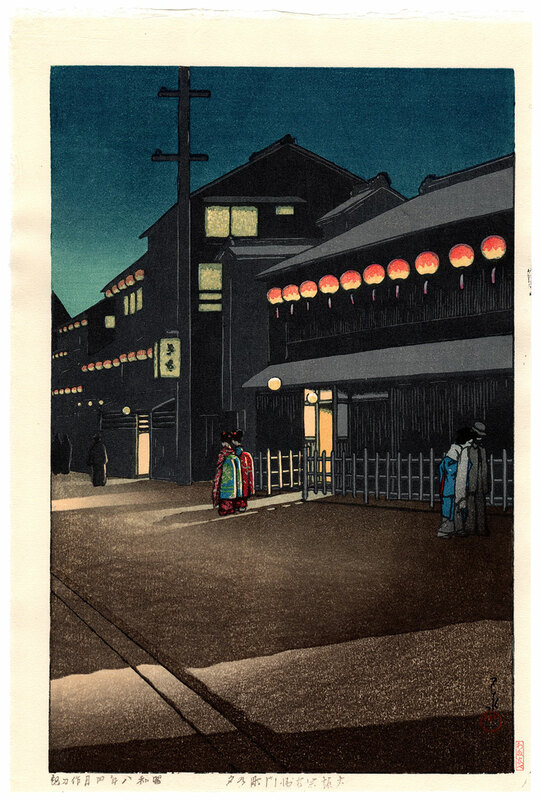 edition of the work made in April 1933 by Kawase Hasui (川瀬巴水), one of the most famous representatives of the "new prints" shin-hanga (新版画) movement. 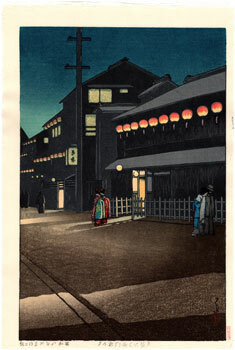 The work is titled "Evening at Soemoncho in Osaka" (大坂宗右衛門町乃夕), and is taken from the series "Collection of Scenic Views of Japan II, Kansai Edition" (日本風景集二関西篇). 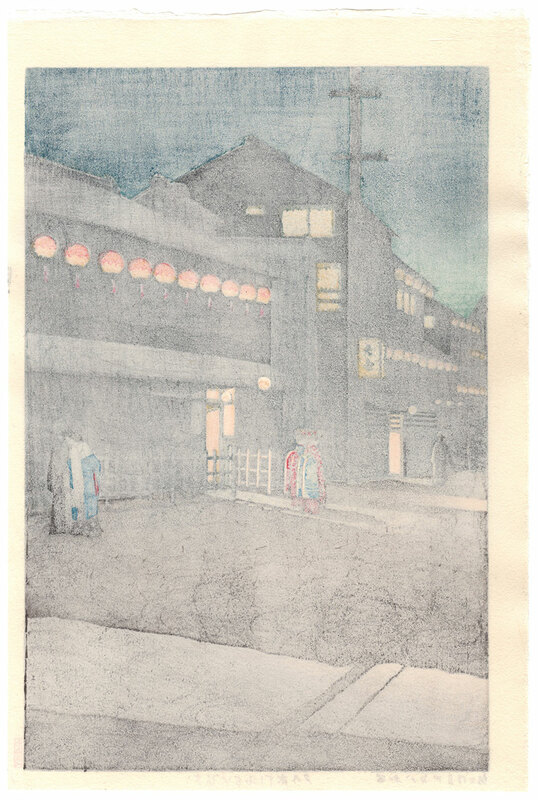 The print on Japanese washi paper (和紙), produced by the publisher Watanabe Shozaburo (渡辺庄三郎), is in very good general condition.